Celebrate ASPCA "Help A Horse Day" with CCHR! Returning for its 3rd year! ​​ASPCA "Help a Horse" Day at the CCHR Ranch. Mark your calendars for April 23rd and come celebrate our 3rd annual ASPCA "Help a Horse" Day with us! Please join us and the community in support of CCHR’s Mission and learn how you can lend a much-needed hand in helping horses in need. Tours of the CCHR sanctuary, equine education demonstrations, and an equine 'meet & greet'! Live music from the band ​Noble Creatures! The Original Grilled Cheese Truck and Mom and Pop's Tacos will be selling their tasty food! The Triple H Beer Garden sponsored by Pets & More of Ojai! 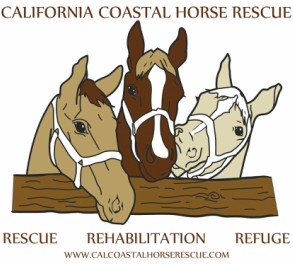 Thank you to ​Ventura Hay for their generous support of CCHR and for their ​wonderful sponsorship of the "Triple H" Beer Garden at Help a Horse Day at CCHR!